"I'm in no rush. There's no testing. As long as there is no testing, I'm in no rush. If there's testing, that's another deal," Donald Trump said. "I'd just like to see ultimately denuclearisation of North Korea." 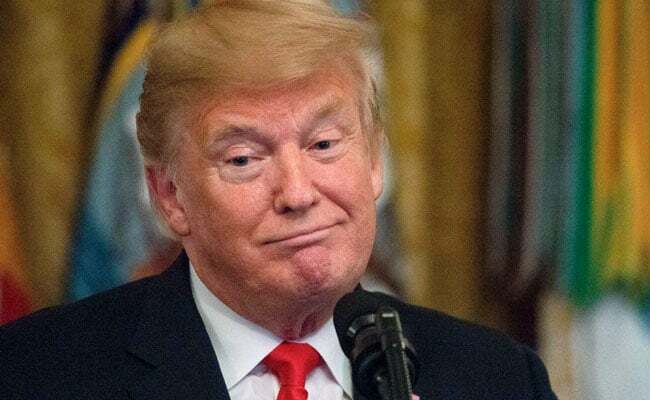 U.S. President Donald Trump said on Tuesday he wants North Korea to end its nuclear program, but has no pressing time schedule for this, as he dispatched his special envoy to finalise preparations for a second summit with North Korean leader Kim Jong Un next week. Speaking to reporters at the White House, Trump said sanctions against North Korea would remain in place in the meantime and noted Pyongyang's freeze in nuclear and missile testing since 2017. "I'm in no rush. There's no testing. As long as there is no testing, I'm in no rush. If there's testing, that's another deal," he said. "I'd just like to see ultimately denuclearisation of North Korea." U.S. Secretary of State Mike Pompeo said of Kim last week it was "time for him to deliver," but the Trump administration has moved away from demands that North Korea give up its nuclear weapons immediately and has appeared to adopt a more gradual, reciprocal approach Pyongyang has insisted on. The U.S. State Department said U.S. special representative for North Korea, Stephen Biegun, was travelling to Hanoi on Tuesday to continue preparations for Trump's second summit with Kim scheduled for Feb. 27-28 in the Vietnamese capital. Biegun spent three days in North Korea from Feb. 6-8, a trip he said was aimed at agreeing on "concrete deliverables" for the summit. The State Department offered no sign of any specific progress after those talks but said Biegun agreed to hold further meetings with his counterpart Kim Hyok Chol before summit. State Department spokesman Robert Palladino told a news briefing on Tuesday he had no details of the meetings the envoy would have in Hanoi. Biegun said after his North Korea visit his talks had been "productive" but there was "hard work to do" before the summit. The United States has been demanding that North Korea give up a nuclear weapons program that threatens the United States, and Trump has been eager for a second summit even though a first meeting in Singapore in June meeting produced only vague commitments from Kim and little concrete progress since. Asked whether Washington would consider lifting sanctions, Palladino said: "We've been clear on sanctions. These are the world's sanctions and that is something that ... will continue to be maintained until we've achieved our final result of a fully, finally verified denuclearisation." However, he then added: "But I don't want to get ahead on ... any further details on what's being negotiated regarding that question." Palladino did not respond directly when asked about reports that the two sides were discussing the exchange of liaison officers and declaring an end to the 1950-53 Korean War. "I am not going to get ahead of diplomatic conversations, or ahead of the president. A lot of things are being discussed and we are very much looking forward to next week," he said. Pompeo said last week that Washington aimed to "get as far down the road as we can" with North Korea in the next two weeks and that Biogen's team would discuss all issues covered in Singapore. Asked on Thursday how important a formal end of the Korean War was in the discussions, Pompeo said: "It's something we've had a lot of talks about." He said Trump and Kim would also be looking at the "denuclearisation pillar they agreed to" in Singapore and how to reduce tension and military risk "so we can get peace and security on the peninsula as well." Earlier on Tuesday, Trump spoke with South Korean President Moon Javelin about the summit and he plans to talk to Japanese Prime Minister Shin Abe on Wednesday. Moon told Trump his country was willing to open economic engagement with North Korea if it will hasten Pyongyang's denuclearisation, Moon's office said. The Trump administration has been wary of Moon's eagerness to resume such engagement, fearing a weakening of pressure on Pyongyang will give it no incentive to give up its weapons. Moon and Kim have held multiple summits in the past year and agreed to cooperate on everything from reducing border tensions to launching a joint bid for the 2032 Olympics. But plans for economic projects, such as allowing South Korean tourists to visit North Korea, have been on hold while the United States keeps its sanctions in place. While praising Trump's "leadership and firm resolve," Moon said he was ready to undertake anything from reconnecting rail and road links between the two Korea to other inter-Korean economic cooperation to help on denuclearisation, according to Moon's spokesman. "We're determined to take up that role if President Trump asks, if that's the way to lessen the U.S. burden," Moon said. Earlier this month, two influential U.S. senators, Republican Ted Cruz and Democrat Robert Menendez, wrote to Pompeo warning that Kim was seeking to drive a wedge between Washington and Seoul and warning against a premature relaxation of pressure on North Korea.